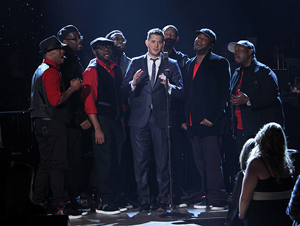 Home / News / Naturally 7 ‘Special Guest’ on Michael Bublé’s upcoming tour! As you’ll see when you come to the shows, we have some new and exciting things lined up so make sure you and your friends get there early to see and hear some new VocalPlay treats! So EXCITED!!! Cant hardly wait! !